Flowers and jelly beans… two sure signs that spring is here! Of course these aren’t just any flowers, or just any jelly beans… I created these “sweet” flowers with Jelly Belly jelly beans! And what’s better than a cookie topped with Jelly Belly beans? 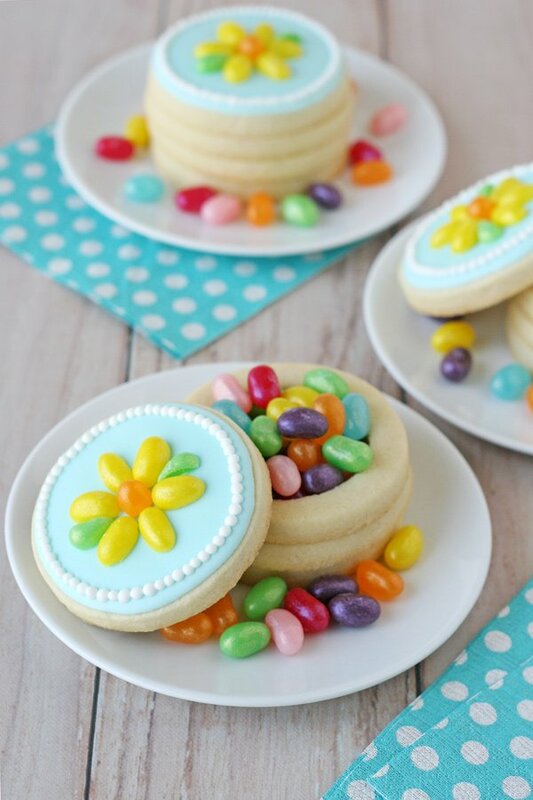 How about cookies topped AND filled with Jelly Belly jelly beans! These Jelly Belly Cookie Boxes are so colorful and fun, they’d be perfect for Easter, a ladies tea, or any spring celebration! If you’ve been reading my blog for any length of time, you already know I love making cookie boxes! I’ve created different designs for most every holiday, and these are my new favorite! 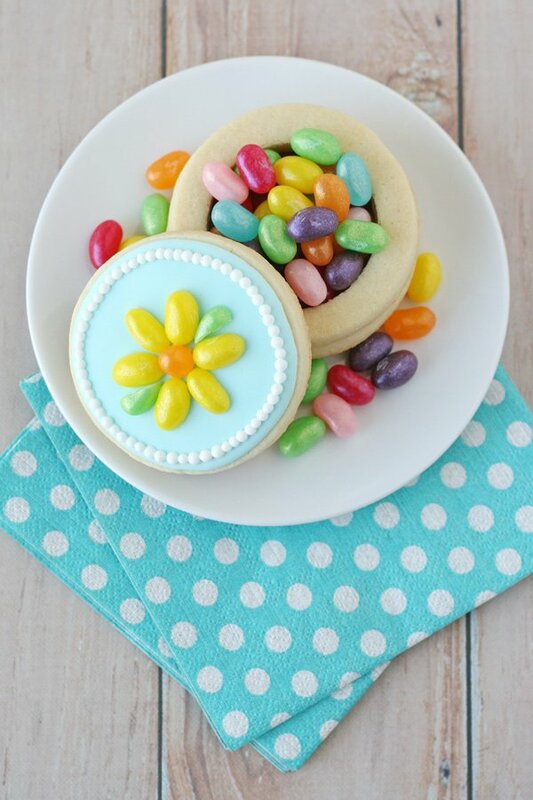 The colorful Spring Jewel mix from Jelly Belly created the perfect inspiration for these spring cookie boxes! Ready to make some pretty cookies? 1.) 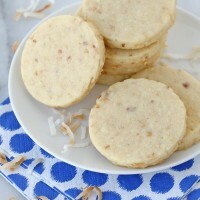 A batch of cookies made with my Sugar Cookie Recipe. 2.) 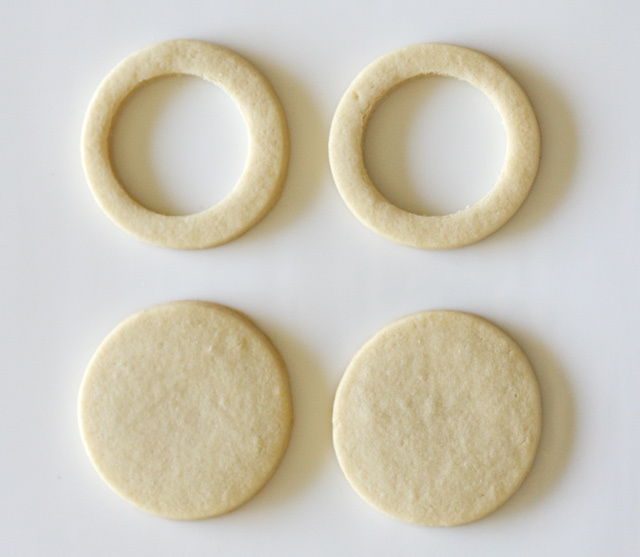 Two circle cookie cutters, one about 3/4″ smaller in diameter than the other. I used cutters that were 2.5″ and 1.75″ in diameter. For each finished cookie box you’ll need 4 cookies. One batch of dough will make about 5 finished cookie boxes using the same dimensions I’ve used. 3.) A batch of Royal Icing. 4.) Jelly Belly jelly beans to decorate the tops of the cookie boxes, and fill them. For the flowers shown, I used Jewel Sour Lemon, Jewel Sour Apple and Jewel Orange Jelly Belly jelly beans. Bake the cookies – Prepare cookie dough (as directed in the recipe linked above), then cut out circles using your larger circle cutter. For each finished cookie box you’ll need 4 circle cookies. I used a 2.5″ cookie cutter, but feel free to adjust the size as you wish. Bake the cookies WHOLE (do not cut out the centers until after the cookies are baked). 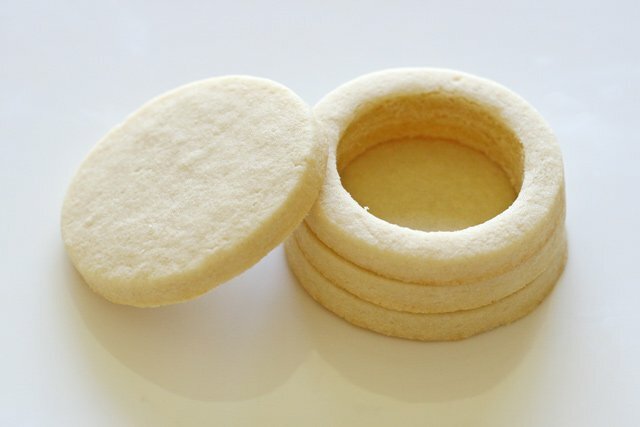 As soon as the cookies are baked and you have removed them from the oven (but they are still hot) use the smaller circle to cut into the center of HALF of your cookies. Cut through the dough with the smaller cutter, but do not touch the cookies (leave the cutout center in place). Allow the cookies to cool a minute or two on the baking sheet, then use a spatula to carefully move the cookies, with the cutout intact, onto the cooling rack. Once the cookies have cooled fully, THEN remove the inner circle. You may need to use the smaller cutter to make sure the inner circle is cut cleanly through. Decorate the cookies – Decorate the cookie tops with royal icing as desired. I colored my icing light blue. 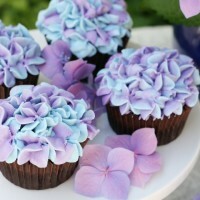 Outline and then fill in with the blue icing (or a color of your choice), then allow to fully dry, at least 4-8 hours. While you wait on the icing to dry, prepare the Jelly Belly “flowers”. I created these same kind of flowers for my Jelly Belly Flower Cake, so hop on over to that post for step by step photos on how to make the flowers and leaves. Cut the Jelly Belly beans (as show in the Jelly Belly Flower Cake post) and set the candies together on your work surface in the same way you plan to assemble then on the cookies. For the Jelly Belly flowers I made in the cake post I “glued” the candies together with royal icing so I could quickly assemble the finished cake. For these cookies, there is no need to glue the flowers together ahead of time. Simply cut the candies as needed, and set aside. 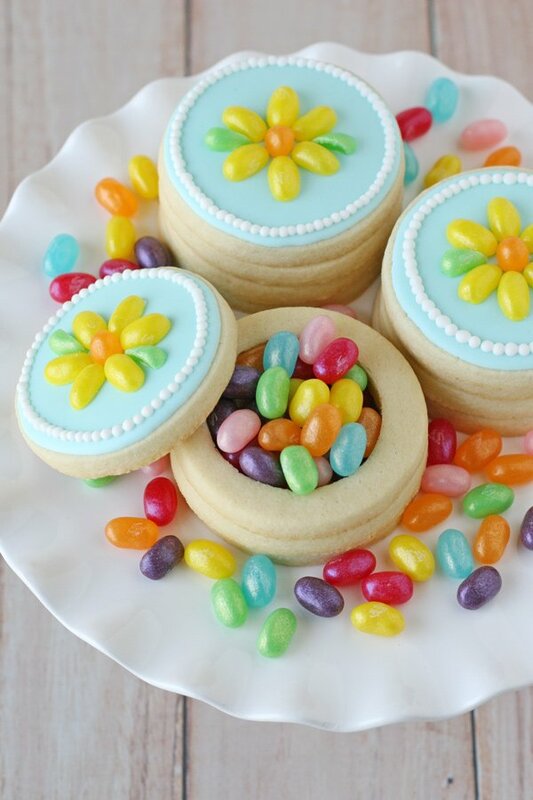 Once the base icing on the cookies is fully dry, use royal icing to attach each “flower petal” (Jelly Belly halves) directly to the iced cookie. If desired, after you’ve added the flower and leaves to the cookies, add a simple dotted border (I used white icing) to finish off the look. 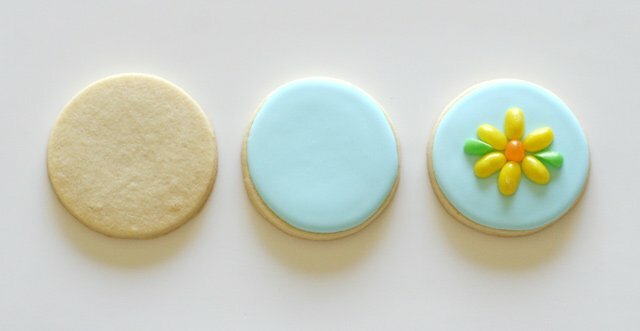 I chose a simple and elegant look by creating the same daisy-like flower on each cookie. Feel free to create flowers in a mixture of colors. Wouldn’t these Jelly Belly Cookie Boxes look amazing as place settings on your Easter table? 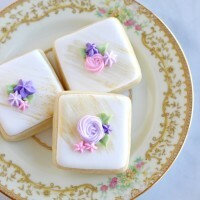 They’d be perfect for a garden party, tea party, or any spring celebration! Be sure to visit Jelly Belly to stock up on these pretty spring jelly beans! Disclosure – I was provided product and/or payment in exchange for my work creating this post. All images, text and opinions are my own. I only work with brands I use and love. Glory! These are absolutely amazing!! So beautiful! Pinned! These are just so gorgeous and creative. I actually think I have some left over Jelly Belly packets from my days at The River Cats! My daughter would DIE for these!! These are so incredible! The kids would be head over heels with these! I was wondering what to make for my bestie’s two daughters this Easter weekend when this showed up in my newsfeed, I knew immediately this was the answer! I just can’t wait to get started, they are so pretty and different, I love them already and they are only in my head! I just have one question: did you glue each layer of cookie together using the royal icing or are they just stacked freely together? Thanks so much for this inspiration! Absolutely adorable! These are so cute, Glory! I love them! These are so beautiful! I love how you cut the green ones to make them look like leaves on the flower! So smart! Me encantan son preciosas estas galletas!!! Amazing ! I love them already and they are only in my head! 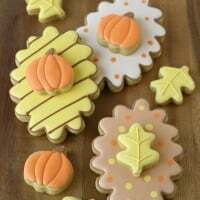 I just have one question: did you glue each layer of cookie together using the royal icing or are they just stacked freely together? Thanks so much for this inspiration! I made them my first time at something like this. Great instructions. How thick are the cookies? I don’t see that in the article.